The DGP shall issue a Circular to all the subordinates instructing not to provide assistance to enforce the order passed by the Arbitral Tribunal without the direction of the civil court, directed the Court. 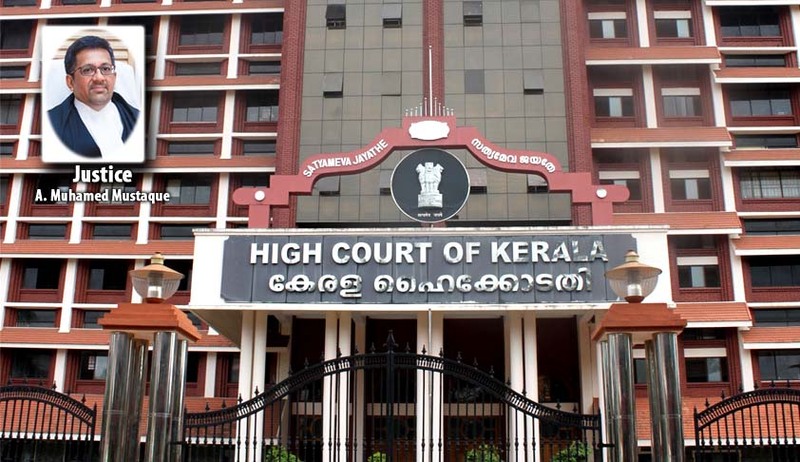 Kerala High Court has declared that an Arbitral Tribunal cannot pass an order to enforce its order by directing the Advocate Commissioner/Receiver to repossess the vehicle from the opposite party. Justice A. Muhamed Mustaque observed that enforcement can be only through a civil court. Some vehicle owners who had availed loan from financiers had approached the High Court complaining that the interim order of repossession passed by the Arbitral Tribunal is enforced/being attempted to be enforced without putting the orders for enforcement, following the procedures under the Code of Civil Procedure. The Tribunal had ordered appointment of an Advocate Commissioner/Receiver to repossess the vehicle either directly or with the assistance of police. The jurisdiction of this Court invoking power of Article 226 of the Constitution cannot be used directly to interfere with the interim order or award as the Arbitral Tribunal cannot be considered as a State within the meaning of Article 12 of the Constitution nor the award can be subjected to a judicial review. Further, the Arbitral Tribunal is not a Tribunal within the meaning of Tribunal as referred under Article 227 of the Constitution. However, when an order/award issued by the Arbitral Tribunal impinges the fundamental rights of a citizen in the colour of exercise of the authority stemmed from the Statute, certainly, this Court can step into, to restore the rights of the citizen to the limited extent to restore the right which has been taken away by enforcing of an order/award without any authority. “Enforcement implies a force to implement. The law enforcement is a Sovereign and State function. The nature of the Arbitral Tribunal’s composition emanates from a contract though, the powers of the Arbitral Tribunal is governed by the Statutory provisions. Nevertheless, it confers no power on the Tribunal to enforce its own order. Conferring the power of the Civil Court to the Tribunal for passing an interim order does not mean that the Tribunal is conferred with the power of enforcement. The Tribunal, by its constitution or creation, inherently lacks power to deal with any sovereign function or public law in the sense that their authority is founded in a contract and power is regulated by the statute. The nature of the power vested with the Arbitral Tribunal is also discernible from Section 27 of the Act 26 of 1996. The Arbitral Tribunal has to apply to the Court for assistance in taking evidence. It is for the Court to ensure that such request is implemented by passing appropriate orders”. The Court was of the opinion that the repossession of the vehicles by enforcing the order of the Arbitral Tribunal without the intervention of the civil court, therefore, has to be treated as violation of Article 21 of the Constitution of India. In the colour of statutory backing, the Tribunal's order has been allowed to be enforced without any statutory authority. The encroachment into a public law field in a private law remedy is nothing but a sheer abuse of process of law. The citizen has to be safeguarded against such arbitrariness, the court said. The Court clarified that the Advocate Commissioner or Receiver can be appointed for any other purpose, but not to enforce an order of repossession passed by the Tribunal and any order of repossession can only be enforced through a civil court. The Court also directed the the Director General of Police to issue a Circular to all the subordinates instructing not to provide assistance to enforce the order passed by the Arbitral Tribunal without the direction of the civil court.